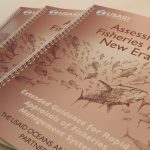 In the first phase of Expansion Site I activity in Thailand and Malaysia, USAID Oceans will initiate the development of the ACDS/CDTS Guidelines, helping Expansion Site I countries develop national roadmaps for implementation. 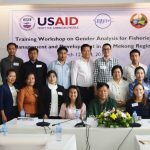 Following discussions between USAID Oceans and the Governments of Malaysia and Thailand, expansion sites have been identified for CDTS testing and implementation during Year 3 (2018) within specified seafood supply chains. The identified sites, Kelantan and Songkhla, will employ lessons learned from the design, implementation, and testing of the CDTS in the Philippines and Indonesia. USAID Oceans will closely coordinate with SEAFDEC ACDS development and implementation to complement the CDTS activities. 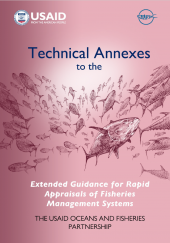 Current Traceability Initiatives: In 2015, Thailand underwent a major fisheries management reform under the Royal Ordinance on Fisheries. Currently the regulations under that decree are being issued and the Thailand Department of Fisheries is working to implement an electronic traceability system. The system will be designed to trace fish through the complete supply chain, from catch to finished good. The traceability system will include six sub-systems: 1) Fishing INFO networking system (vessel information), 2) E-license, 3) Catch landing records, 4) E-logbook, 5) Catch Certificate Issuance System, and 6) Inspection at landing ports. 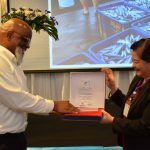 The Thailand Department of Fisheries is working in partnership with the Fish Marketing Organization and other government and private sector organizations. Number of Vessels: Approximately 56,000 vessels. Approximately 86 percent of Malaysia’s fleet is small-scale. Import and Export Trends: Malaysia imports 299,200 tons of fish annually, mainly from Indonesia, China and Thailand. Its annual exports of fish, shrimp and squid total 102,500 tons, going mainly to Singapore, the EU, and the U.S.
Current Traceability Initiatives: Malaysia’s catch documentation system is current paper-based, with the exception of electronic records kept by processors and shippers. 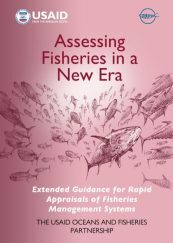 Malaysia is actively pursuing additional human and financial resources to bolster monitoring, auditing, and verification activities, as well as capacity building for fisheries officers.